A! Classifieds Publication (W1) - Activate! A! Classifieds are back and full force in 2018. Last year, A! 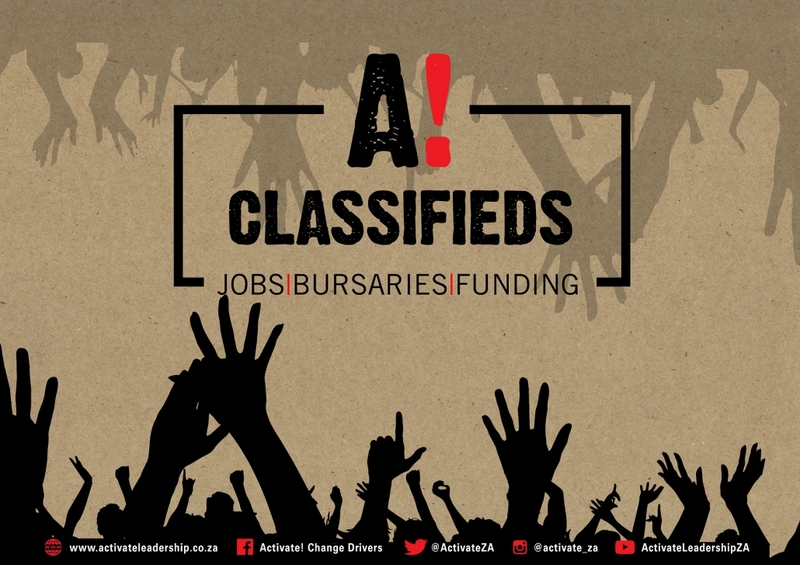 Classifieds were able to help many young people by sharing job, bursary and other entrepreneurial opportunities. This year, we are back but will be working more strategically and including posts from different provinces so that all youth are supported and included. But as usual, we sharing the opportunities is only the first step, young people also need to take initiative and apply for the opportunities shared. And more importantly also share insight and feedback on their experience with A! Classifieds so that we can we ensure that we are providing the best opportunities needed.